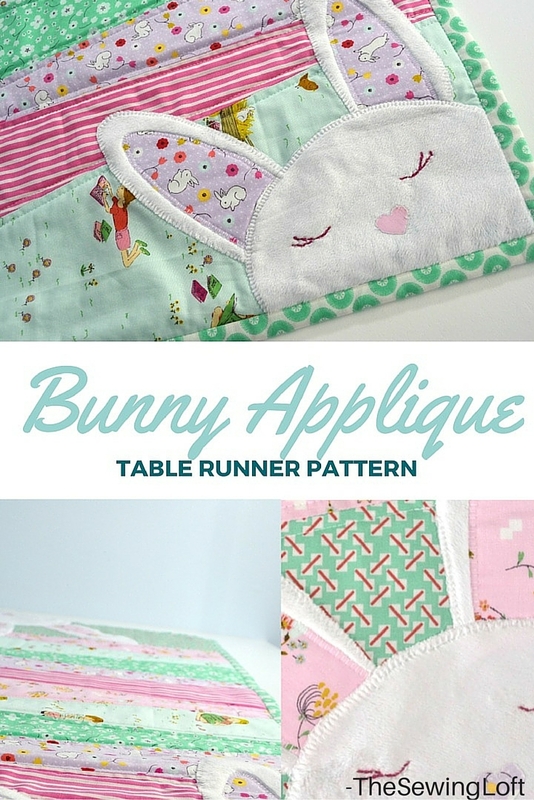 Update your space for the holiday with this bunny applique table runner. *Not sure what a fat quarter is? 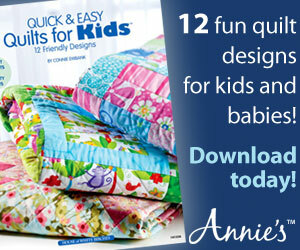 Click here to learn all about the magic of this 18” x 22” piece of fabric. Cut (2) strips from 5 of the fat quarters 4 1/4” wide. Total of 10 pieces. Angle ruler from one corner to other and cut away to 1 1/2”. Cut (1) strip of each end fabric 9” wide by length of fat quarter. Angle ruler from one corner to the other and cut away to size. See diagram. Trace applique pieces onto the paper side of fusible; leaving 1/2” spacing between each piece. Cut out pieces of adhesive leaving 1/4 seam allowance all around. Follow instructions on packaging and adhere adhesive to wrong side of fabric. Repeat for each section of applique. 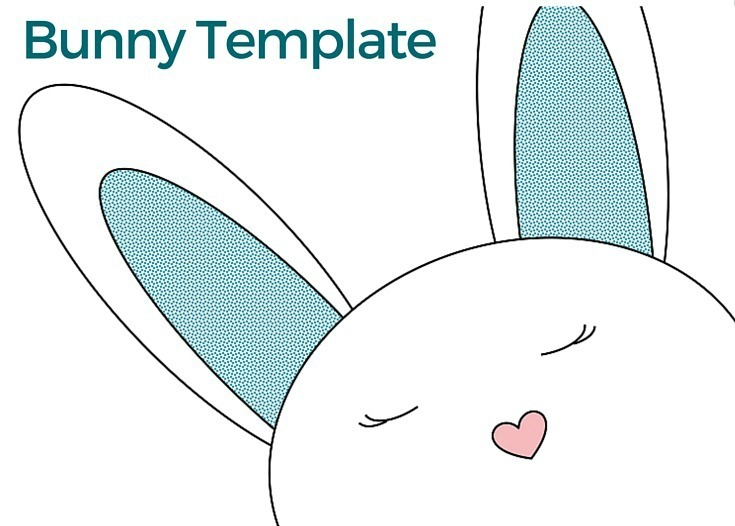 Carefully cut out each shape; set aside. Take your time, cutting counts. Set pieces aside. 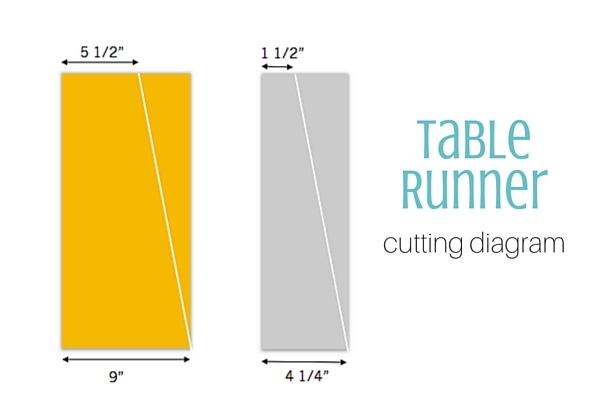 Stitch together the top layer of table runner using the simple table runner instructions. Remove paper backing from applique pieces; position on top layer of runner as desired; fuse in place. 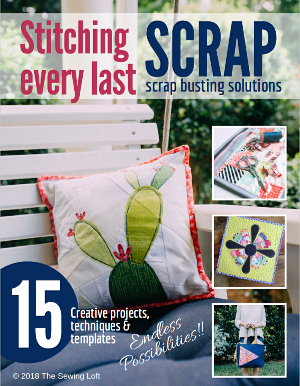 Add a decorative stitch all around each piece. 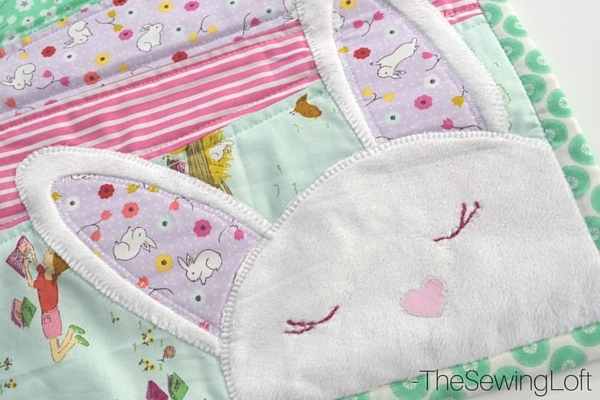 *Consider using a reduced size blanket stitch with embroidery thread. With hand needle and embroidery thread, stitch eyes per template. 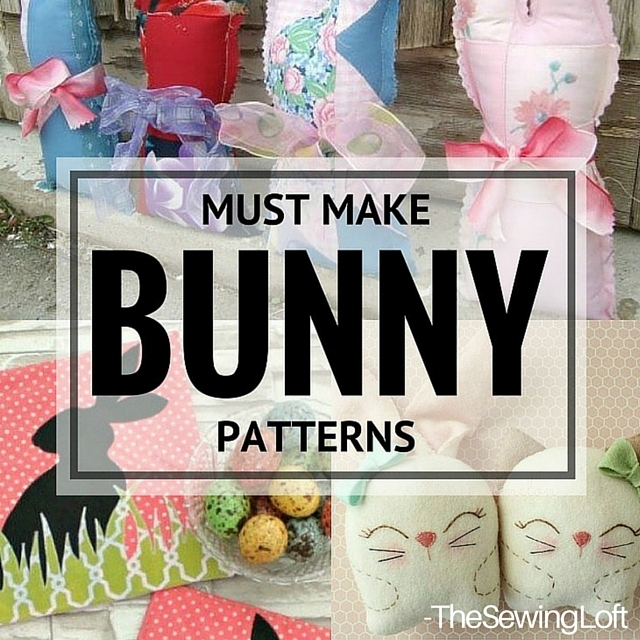 If you’re looking for more bunny ideas be sure to check out this post with free bunny patterns and keep your eyes peeled for an easy to make basket everyone is sure to love!